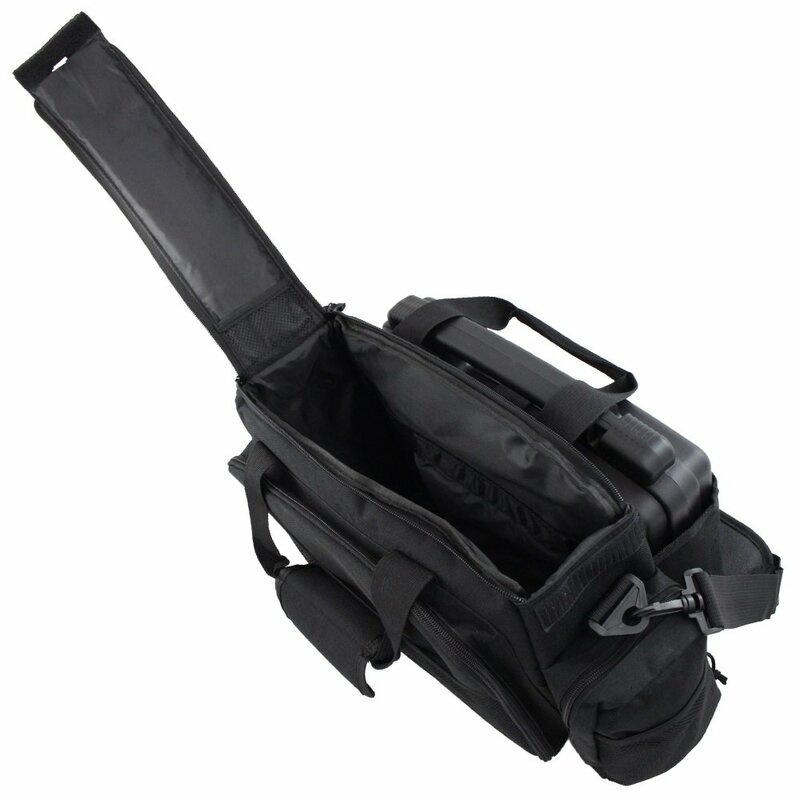 Pistol, ammo, magazines, targets, and tools—pack ‘em all to go with Flambeau Tactical Range Bag! 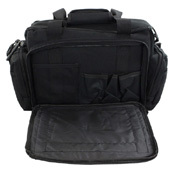 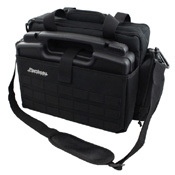 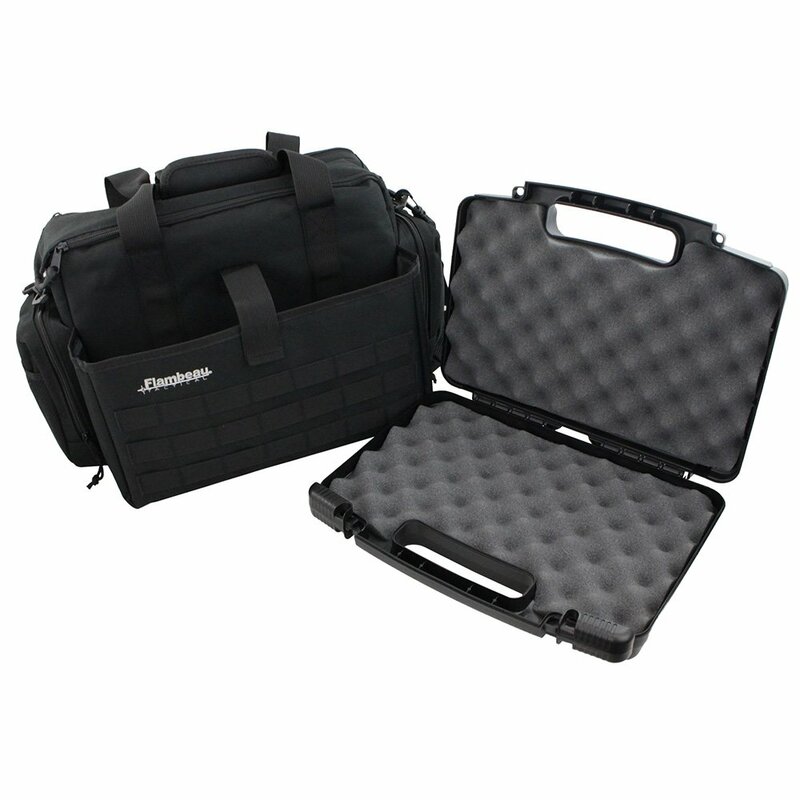 This comprehensive pack has an integrated pistol case sleeve with an included 14-Inch Safe Shot Pistol Case. 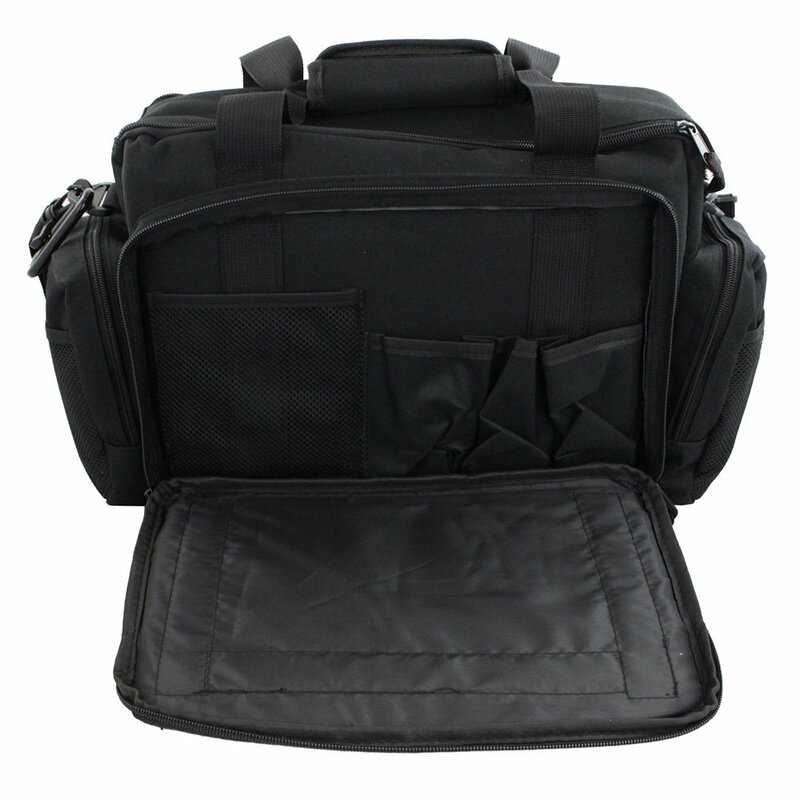 The bag has a double-zipper main compartment, two side pockets, and a rear pocket panel that unzips into a handy work/cleaning station. Measures 19” x 11” x 11”. Why choose this range bag? Pistol case will not fit guns longer than 14"
The D in 600D nylon, stands for “denier”, a unit of measurement that describes the mass in grams per 9000 meters of fiber. 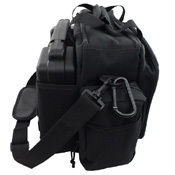 Low denier fabrics are sheer, soft, and silky, while high denier fabrics are thick, tough, and coarse.